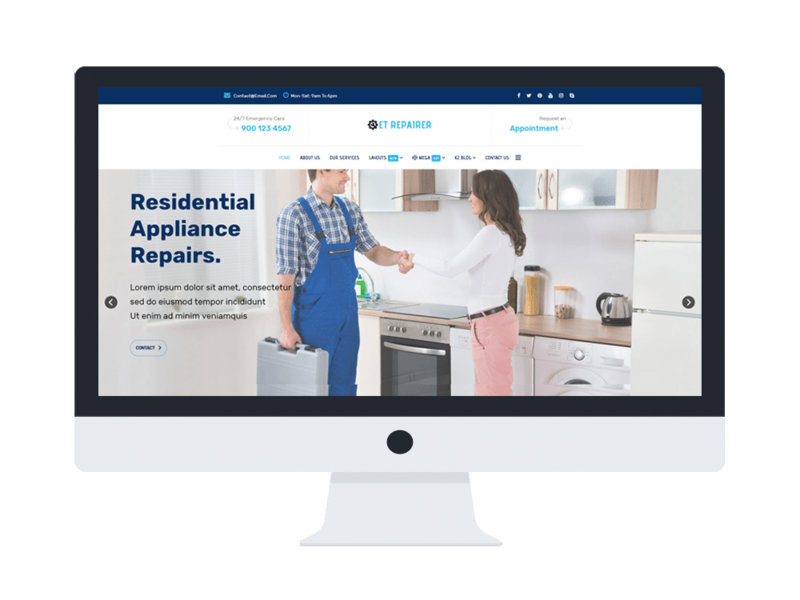 ET Repairer is a premium and fully responsive WordPress technical theme that is suitable for you if you are going to open a website promoting your business. This theme provides you with a completely stylish design and powerful web technologies, so you can get it easily to edit content and make any changes you want. ET Repairer built with Genesis Framework, Page Builder by SiteOrigin and also more features to help you build a wonderful site with effortless. Moreover, it also offers you 4 flawless preset colors which are customizable from control panel. By its amazing responsive layout on mobile devices, there is no difficulty for you to earn more traffics from mobile users and make them impressed! Don’t hesitate to give it a look!